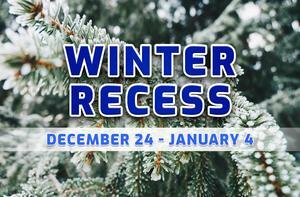 Winter recess is heading our way soon! Winter recess is coming up quick. Mark your calendars for December 24, 2018 - January 4, 2019, and be sure to finish 2018 strong!